Help Documents - Version 5 Advanced RegistrationHow do I use Partial Registrations? Partial registration allows the registrant to suspend their registration process and return at a later time to finish it. 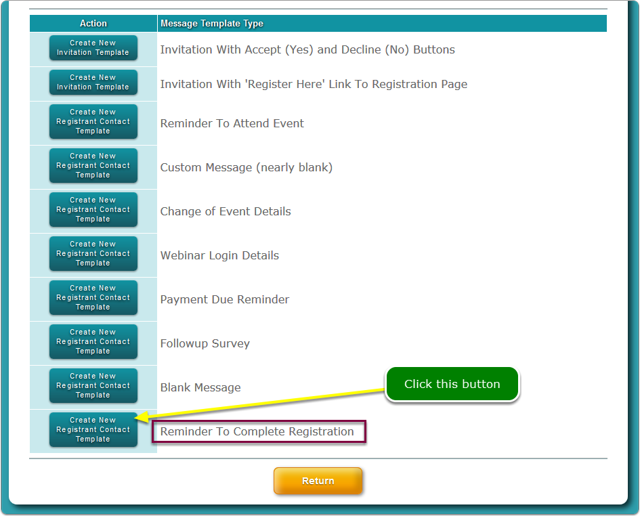 Partial Registrations become useful when you have a long registration form to be filled in. 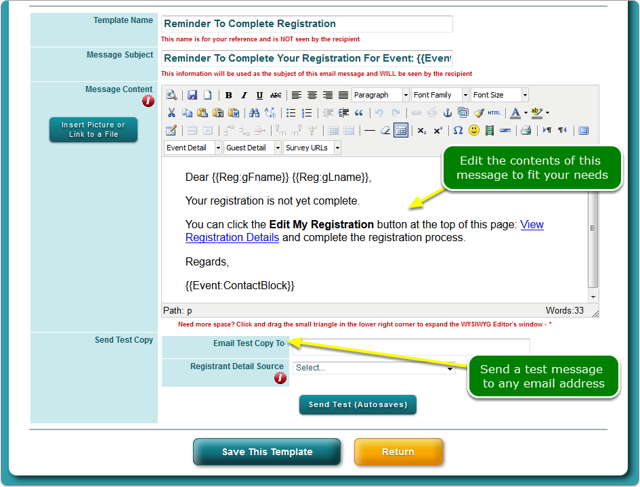 What makes a long registration form? 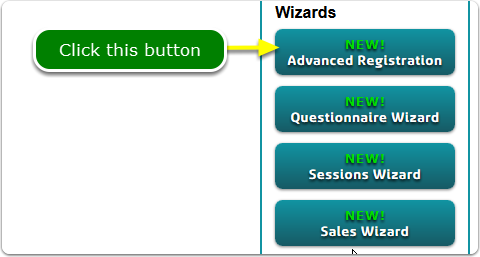 Numerous sessions and sales items where descriptions must be read in order to make a selection, resulting in a long time on the page. 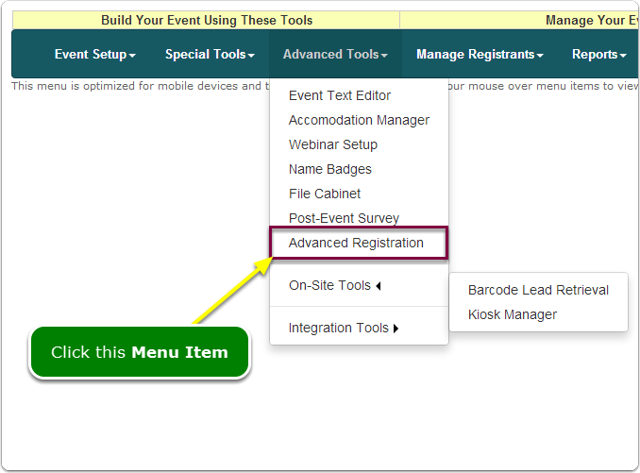 rsvpBOOK gives you tools to manage these incomplete registration forms. 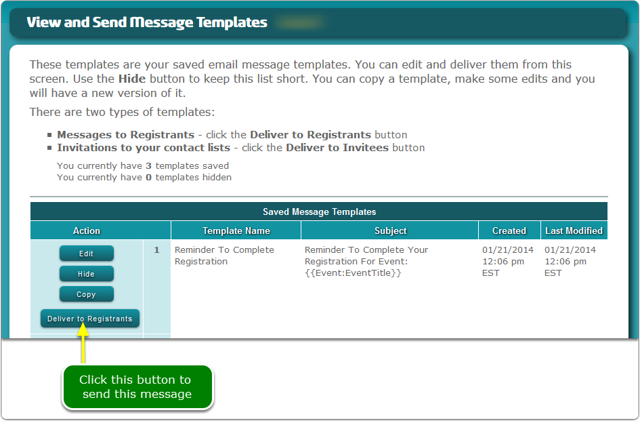 There is an email message template that already contains "nag" verbiage to return to the site and finish registering - you can edit the message to add or remove any of the content. 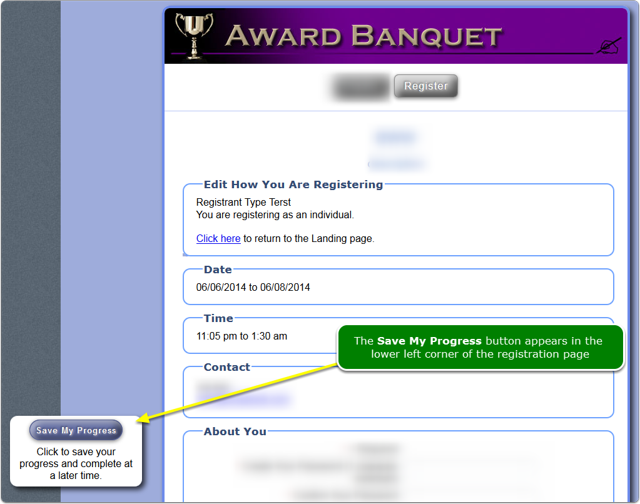 Click the Partial Registrations link in the Quick Nav panel. How do I turn ON Partial Registrations? 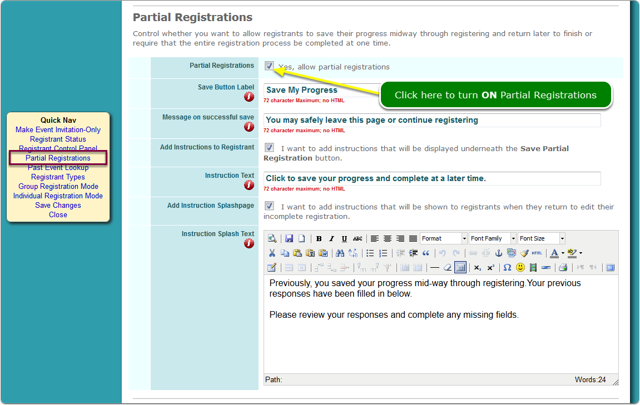 Zoom: How do I turn ON Partial Registrations? 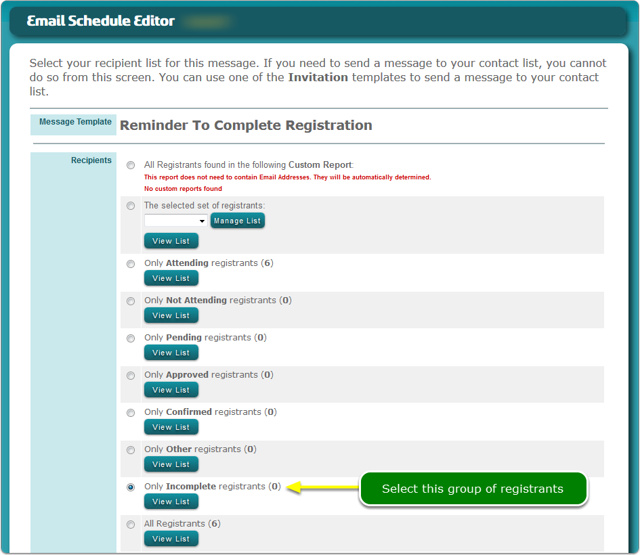 What does the registration page look like when Partial Registration is turned on? 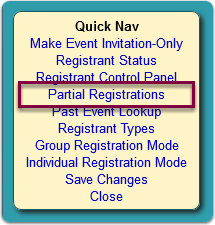 Zoom: What does the registration page look like when Partial Registration is turned on? 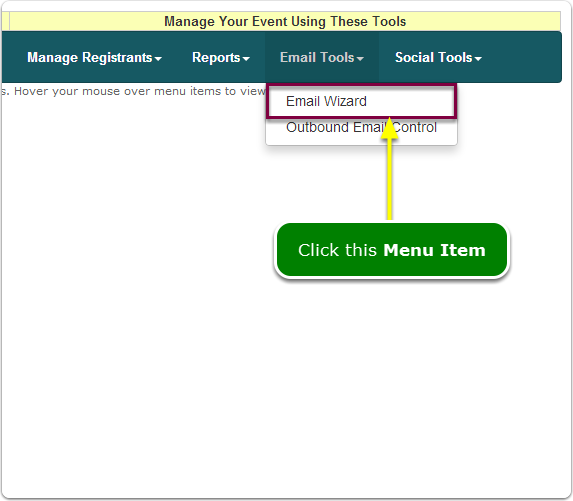 Click the Create New Message Template button on the Email Wizard screen. Make your changes to fit your situation. You can send a test message to yourself (or anyone else for that matter). 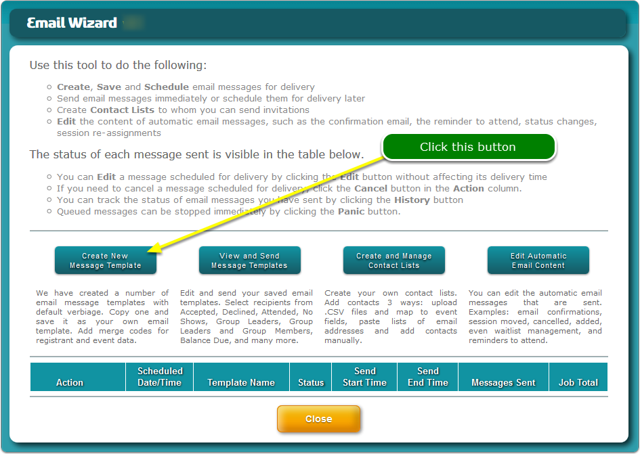 ONLY registrants with an Incomplete status will receive the message. Prev: How do I use the Registrant Status? Next: How can I use Registrant Types?